Do you ever daydream of escaping the hustle and bustle of daily life to enjoy a nice relaxing getaway? I know I do, and after living here a number of years, I feel qualified to tell you that Hendricks County should definitely be at the top of your destination list. Finding an extraordinary place to call home for a few days is paramount when planning your trip. How about a cottage nestled on a 75-acre horse farm? Imagine waking up and sipping coffee on the veranda while watching horses graze across the field. Located in Brownsburg, The Cottage at Natural Valley Ranch is a 4-bedroom, 4.5-bath home surrounded by beautiful landscape. Take a walk or ride a horse on the miles of trails through woods and field. Or grab your fishing pole and spend an afternoon at the lake. The only problem I see here, is that you may never want to leave. 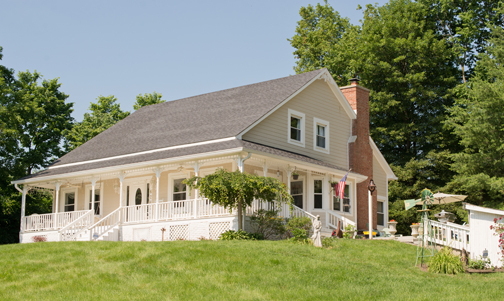 The Four Sisters Inn bed and breakfast is located a short walk from downtown Danville. This late 1800&apos;s era home features a small coffee bar for your convenience upstairs. Curl up with a good book in the parlor or on the patio. And evenings can be spent around the firepit. Featuring four unique rooms, hardwood floors and serene decor, this retreat may be perfect for you. The choices are endless in Hendricks County when it comes to finding that perfect home away from home. When you arrive, take a few minutes to unpack your suitcase. This will help you feel more at home and reduce clutter, enhancing your relaxation. An array of options are available when it comes to dining in Hendricks County. Cafes like Court House Grounds in Danville or Cinnamon Girls Bakery and Cafe in Coatesville are local favorites, perfect for lunch or a light dinner. In an ethnic mood? Hirosaki Japanese Steakhouse located in Avon offers the Habachi grill experience with food chopped and prepared right before your eyes. How about some Pad Thai cooked to order with your choice of heat at Thai Orchid in Plainfield. Or if you&apos;re in the mood for Greek-inspired cuisine, visit Mediterranean Grill in Avon. Steak and seafood options are aplenty too. Boulder Creek Dining Company in Brownsburg offers a lodge-like atmosphere with a cozy, fine-dining experience. 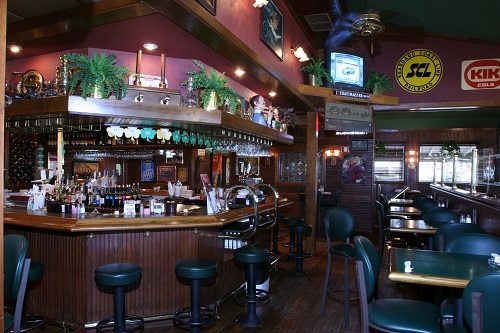 The Coachman Restaurant and Lounge located in Plainfield also features cooked to order steaks and seafood. And of course there&apos;s the old stand by of a good pizza pie. Perillo&apos;s Pizzeria in North Salem is a favorite among locals offering pastas and even sandwiches. So Italian! in Brownsburg has a full menu including pastas, salads, pizza and calzones. Using fine flour, their pizza dough is made fresh daily. They also feature their own homemade sauce and fresh ingredients. This is one pizza you will never forget. We tend to spend our days rushing to get to our next engagement. Skip the fast food and take some time to sit down and enjoy a leisurely meal with good company. It can make all the difference of turning a good vacation into a great one. Exercise reduces stress hormones and increases endorphins which help foster relaxation. Go ahead and pack those golf clubs for a round or two of golf on one of Hendricks County&apos;s nine golf courses. Or bring your bikes for a leisurely ride down the B&O Trail. You can also head on out to one of the many parks in Hendricks County and bike or walk the trails. Get out and get moving. Commune with nature and feel those tense muscles relax. How about a tour of the intricacies of the wine-making process? 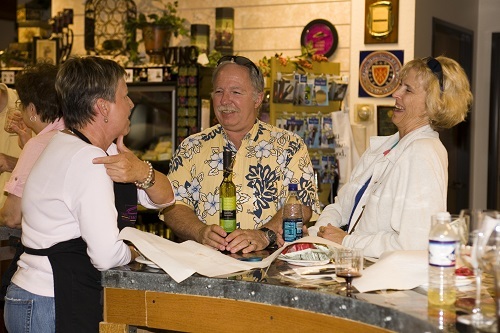 Visit Chateau Thomas Winery and try a sampling of the many fine wines produced right on site. Revel in the atmosphere as you tickle your taste buds. And every Friday through September, enjoy live music on the veranda. Black Swan Brewpub in Plainfield also has a wide assortment of local beers and wines, including one beer crafted on site. Stop in and enjoy some good food and good spirits. Finally, Three Pints Brewpub also in Plainfield, offers both cuisine and spirits, including locally crafted beer. Come on out and enjoy the cajun-inspired rattlesnake shrimp pasta or a burger, and sample their palatable site-crafted beer. Stop in and unwind at any of these establishments and enjoy the true tastes of Hendricks County. Finally, I want to encourage you to take time and pamper yourself. Go to a spa for a massage. Get a pedicure or manicure. I recommend Cass & Company Salon in Avon or visit Mars Venus Salon & Day Spa in Brownsburg. Or enjoy a little retail therapy. Leisurely browse one of the many local antique shops in Hendricks County or stop in to visit an art gallery. You never know when you might find that perfect piece you never knew you had to have. You have worked hard and you deserve to indulge every once in awhile. As you dream and plan for your next relaxing getaway, make sure Hendricks County is at the top of your list.